At organizations that perform animal research, the Institutional Animal Care and Use Committee (IACUC) is responsible for reviewing research protocols and evaluating the institution’s animal care policies, programs and practices. An important member of each IACUC is the non-affiliated member, who represents the community’s interest in good animal care. The non-affiliate may not be connected financially or through a family member with the organization on whose IACUC he or she serves. This member is sometimes called the community member. Community members volunteer their time for preparation, meetings and inspections, all of which can be substantial; they also participate in ongoing IACUC training. 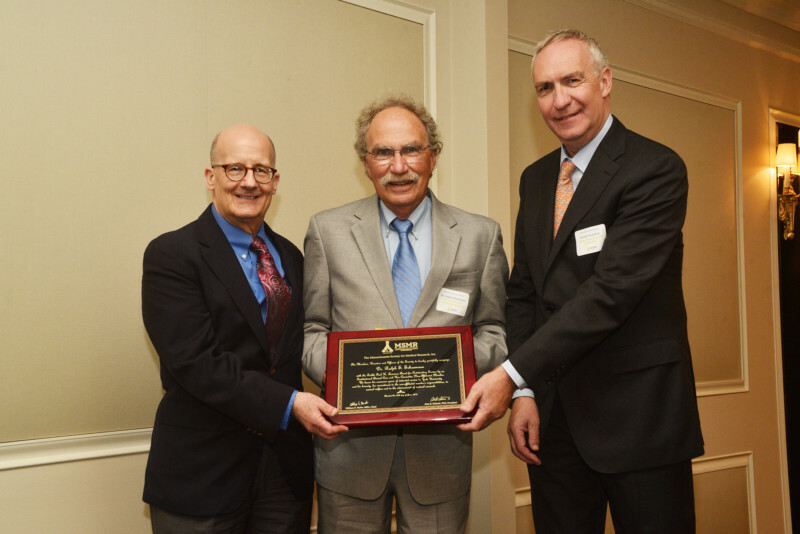 The Levenson Award recognizes the essential role played by the IACUC’s non-affiliate member in assuring excellent animal care and in representing the community’s fundamental interest in animal research decisions. The award is named in honor of Rabbi Paul Levenson who served as a non-affiliated member of the IACUC at Dana-Farber Cancer Institute for eighteen years and who was the inaugural recipient of the award on October 21, 2015. Dr. Schoemann, a retired small animal veterinarian, will receive the Levenson Award at MSMR’s Annual Meeting of Members on June 24th at the Colonnade Hotel in Boston. Learn more about the Yale University IACUC.